Contemporary Research’s new QIP-D IPTV Decoder/Controller is the latest product for decoding IPTV streams and includes an integrated display controller. The QIP-D accepts MPEG2 or H.264 single program or multiple program transport streams and is compatible with unicast or multicast UDP and RTP IPTV streams. 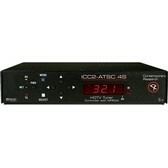 It also decodes and receives MP12, AAC, and AC-3 audio. 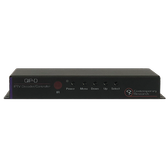 The QIP-D IPTV Decoder/Controller features HDMI output and video scaling from 480i to 4K. 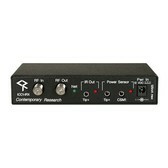 Users can select channels, volume, and power from the front panel controls, handheld IR remote, or external control system. The integrated display controller can control power and source selection on the connected display device when used in conjunction with an ICE-HE-DXL Display Control Center, Display Express, or a third-party control system. 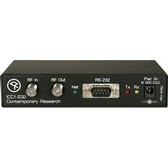 The QIP-D IPTV Decoder/Controller has an onboard control database of RS-232 protocols for common displays. The display type can be selected in the setup menu. As a result, custom programming is not required for display control when used with Display Express or an ICE-HE-DXL. A channel list of programs can be uploaded from a PC running CR Toolbox software, a free universal application designed to connect and update CR products.